This is one of my favourite movies ever. It’s very romantic and makes me cry my eyes out whenever I watch it. It starts with an old man reading a story to an old woman in a nursing home. The story is about the romance between Noah and Allie. They fell head over hell in love as teenagers but Allie comes from a rich family and they don’t think that Noah is good enough for her. So they get separated until years later, Allie sees a picture of Noah in a paper and realises she has to see him one last time. And when she does, they pick up just where they left off. But Allie is now engaged to someone else and she will have to decide who she really wants to be with. Noah and Allie have to face a lot of obstacles, and they also have bad fights, but in the end, they always manage to sort out their differences because of how much they love each other. Theirs is the kind of love we are looking for. And Rachel McAdams is just amazing in it. She became one of my fave actresses after I watched her in this movie. This is another movie that will make you cry buckets. Holly loses her husband Gerry to an illness. But before he dies, he writes a series of letters to help her get over the pain of his death and live the rest of her life without him. It is truly an heartbreaking story and, although most spouses don’t leave such letters behind when they die, still I believe most people will be able to relate to the pain of losing someone they love. If you haven’t seen it yet, do so, but keep a handkerchief at the ready, you’ll need it! Elle Woods is a bimbo with a penchant for pink. When her boyfriend Warner dumps her because she’s not serious enough, she decides to go to Harvard School with him, show him what she’s capable of and win him back. Although everyone underestimates her, once she realises her looks won’t get her far at Harvard, Elle starts to work really hard to do well in her class. And she does so by remaining herself. Elle is both gorgeous and smart and teaches us that we can achieve everything we set our minds to. It’s a very empowering story, and very funny too. The sequel instead was very disappointing. Elle Woods hires a private detective to find the mother of her dog so that she can attend her wedding? I feel like they’ve turned Elle back into an idiot again. Watch the first movie if you haven’t, and the musical too, but forget the sequel was ever made. Andrea is a simple girl who wants to be a journalist. 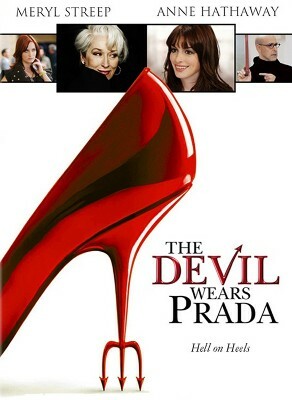 Because she has to start somewhere, she becomes the second assistant of the powerful and ruthless Miranda Priestly, the executive of the Runway fashion magazine. Andrea’s job is very demanding and she knows nothing about fashion either. But as she becomes fashionable and more confident in her job, her private life suffers. Her boyfriend, family and friends don’t recognize the woman she’s turned into anymore. Eventually, Andrea will have to decide whether her new career is really worth the price. Melanie Streep, one of my favourite actresses, is marvellous in this movie and so is Emily Blunt in her role as Miranda’s assistant. Henry has a genetic anomaly that makes him travel through time. It can happen at any time and at any place and he never knows where he’s gonna end up either. It’s on one of these travels that she meets his future wife, Clare, when she’s still a child (but of course nothing happens until she’s of age). The two fall in love and try to build a life together but, because of the complications Henry’s consideration implies, it isn’t easy. The time-travelling device is done really well, in an easily believable way and did I mention how much I love Rachel McAdams? Cady Heron attracts the attention of The Plastics, the A-list girl clique at her new school, who invite her to be a part of their group. But when she falls for the Queen Bee’s ex-boyfriend, the clique decides to ruin her life. The movie describes how female cliques in high school operate and, although some aspects are clearly exaggerated, it is still realistic enough for every schoolgirl to relate to, and well explains that being popular comes at a very high cost. The script, written by Tina Fey, is also very witty, over-the-top and full of drama. The acting is very good too. A charming, heartwarming and romantic comedy I just have to watch every time it’s on TV. William, a regular guy who owns a book shop, one day bumps into Anna Scott, a very famous actress. The two fall for each other, but will their relationship survives the pressure of fame? The story is quite predictable, but entertaining and funny. The acting is very good too. This movie really is one of the best examples of his genre. A collection of interconnected stories about a group of people falling in love. The movie really portrays all kinds of love: unrequited, unspoken, puppy love, married love, lust, love that’s blossoming or is betrayed… you name it, it’s there. A charming little movie that shows that love really is all around us. Always. 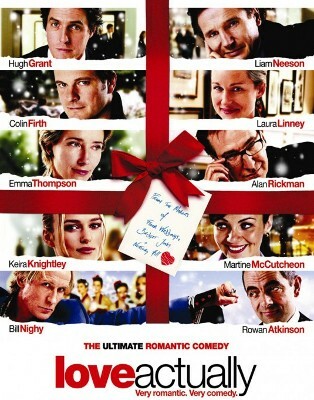 What are your favourite chick lit movies? And would you like to see more posts like these or should I just stick to history and book reviews?